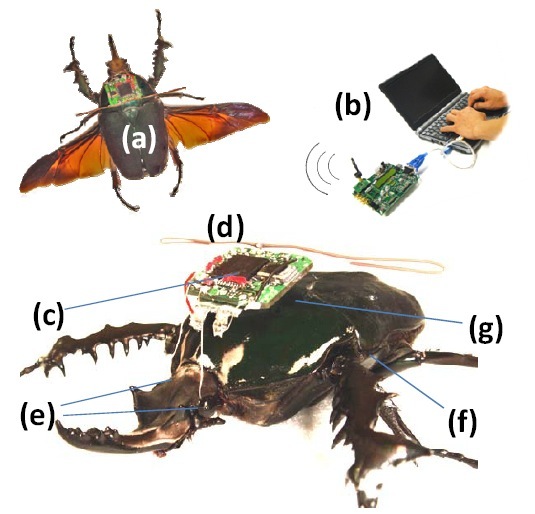 A research team at the University of California Berkeley recently announced that it has successfully implanted electrodes into a beetle allowing scientists to control the insect’s movements in flight. This entry was posted in Darpa, DNYBLE, military. Bookmark the permalink.